We’re in the Twin Otter plane heading south. My god this is big country! The scale is overwhelming. Why do I choose to repeatedly put myself through these epic trials? We just flew past the Pirrit Hills, an impressive group of nunataks – rocky peaks protruding through the ice about 160kms from Union glacier. They were our plan B if we hadn’t managed to raise enough money for the Spectre. The plan was to ski in from Union Glacier, climb and kite back. A similar trip but almost half the cost and about 10% of the distance. Right now I’m wondering if we should have just bitten off that small mouthful, it still looks pretty far. Spectre is ten times that distance and our trip will be ten times as tough. Be careful what you wish for, it may just come true! I can’t believe people walk, all that we are now flying over, to the pole. It’s so far and so featureless. It looks like an ocean, small waves of sastrugi texture the surface that is apparently completely flat although in fact it rises for 3000m in altitude. There are a fair few teams in their way from Hercules Inlet to the pole right now, including my friend Carl Alvey for the 4th time. 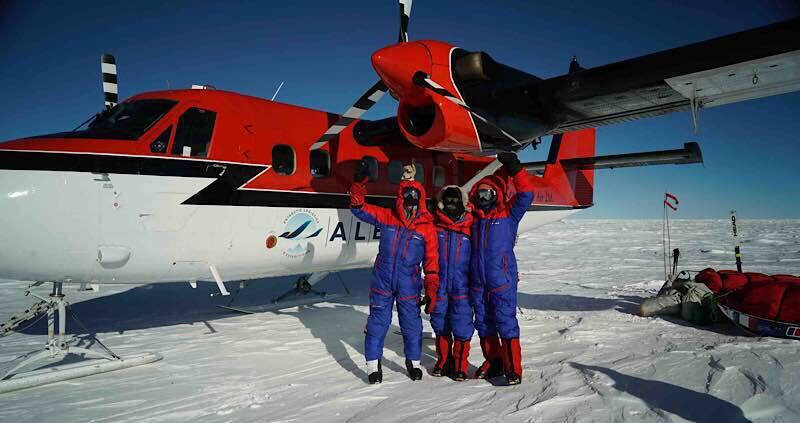 The Ice Maidens team left Union last night and are currently on their way to the Ross Sea. They have 1700km to travel and no kites! 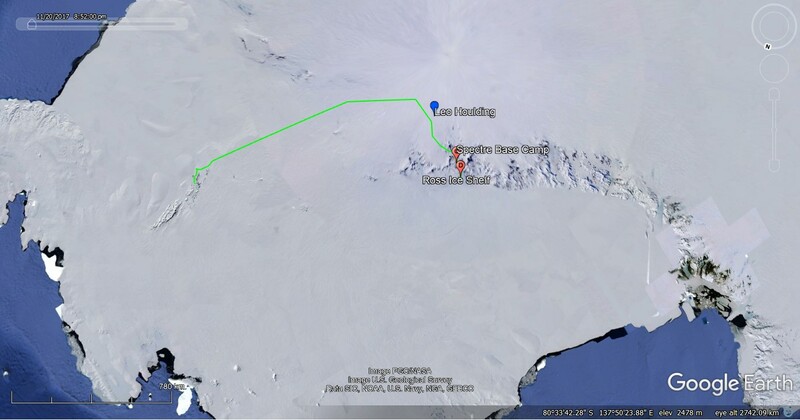 Ben Saunders is walking solo for a similar distance in the opposite direction. Their endeavours give me confidence in our own. There’s no way I’m psychologically strong enough for such a long, monotonous walk. The part of our trip I’m most concerned about is the 350km walk. Respect to all of them and we wish them all the very best. Wind assistance will make our journey far easier and faster, which is fortunate as we have more than twice as much stuff as any of those teams, and a major climbing objective enroute! The pulks look massive, the terrain vast, my legs skinny, I feel very small. But in my heart I am confident we can do this. I actually feel more relaxed right now than I have done for weeks. This is not my first rodeo. We are the right team for this task. The plane will drop us off at its maximum payload range , known as the point of no return, but we have already past that point. The time for fear and anxiety is behind us. There is no more preparation. It is time for confidence and cautious action. We have what we have and must overcome every obstacle we face with the contents of these pulks, our skills, cunning and experience. 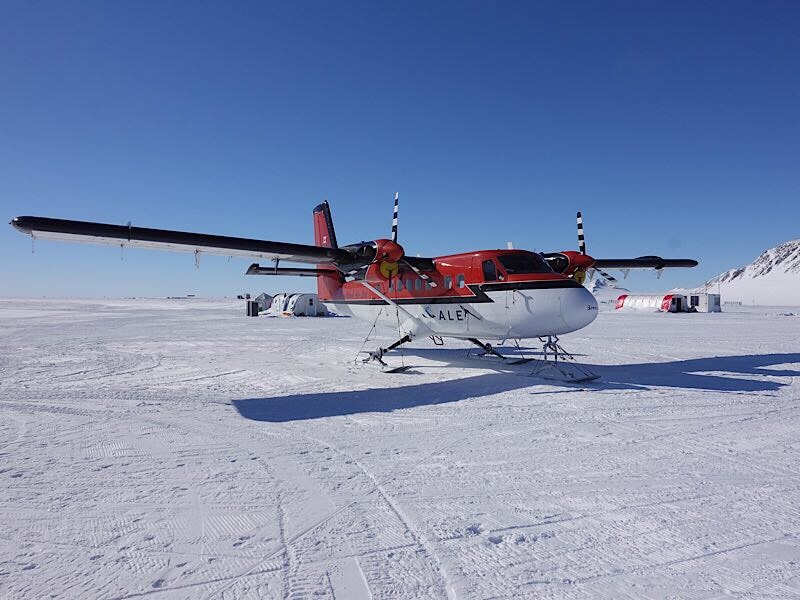 No doubt there will be some fumbling in the first few days as we acclimatise to the altitude and cold and begin to figure out what clothing, gloves and goggle set-ups work best and drill our camp, cooking and kiting systems. But within a week, we’ll be a tight unit. Time is on our side. Patience, caution and wise decisions will be our closest allies as we head further beyond than any of us have ever known. We are going to do this safely, successfully and have the best of times on the way. Life is short and life is precious. That is why we face these trials, because nothing great is ever easy. Bring it on! We’re now in the tent, near as damn it to 88S,132W, precisely where we wanted to be. It’s sunny with a strong breeze and really cold. Pretty much what we expected and hoped for, although I must admit this cold is quite shocking! Our goggles steamed up and froze immediately upon exiting the aircraft which is a big concern. I had a buff around my neck and another over my face to protect my nose from the cold but that’s why the goggles steamed up. Going to have to work out another system for tomorrow as kiting blind across this bumpy, hard surface is not an option, nor is leaving ones nose exposed. We really are in the middle of nowhere and the magnitude of the journey we are about to undertake is utterly overwhelming. Therefore we are all ignoring it and focusing on the most immediate concerns: Keeping warm, pitching tent, packing pulks etc. We must be some of the most isolated humans in the planet right now but spirits are high and we are ready for events to unfold. It time to leave the past behind and focus on the here and now. Our loved ones will always fill our hearts but must be kept to the back of our minds allowing us to concentrate of the ongoing tasks of cold management, travelling and living as comfortably and healthily as we can out here. My god what have we let ourselves in for!!!! Exciting to finally be on your way, you are all skilled, well organised and experienced. Very excited for you! Remember to clean your teeth morning and night! Keeping an eye through this channel. Have a great time. Detail google/buff systems awaited to be learned. Pics of gear (as Colin Haley’s entry on Mount Hunter) would be great. Not now. You’ll have plenty of time during unavoidable storms to come. Maybe Colin Haley’s Googles setup might help… sort of ductape under them. Ahh, Pirrit Hills, was that the range you discussed with me a few years ago?